On the graph in the answer space, shade the region which satisfies all three inequalities y > –2x + 8, y ≥ x + 1 and y ≤ 7. 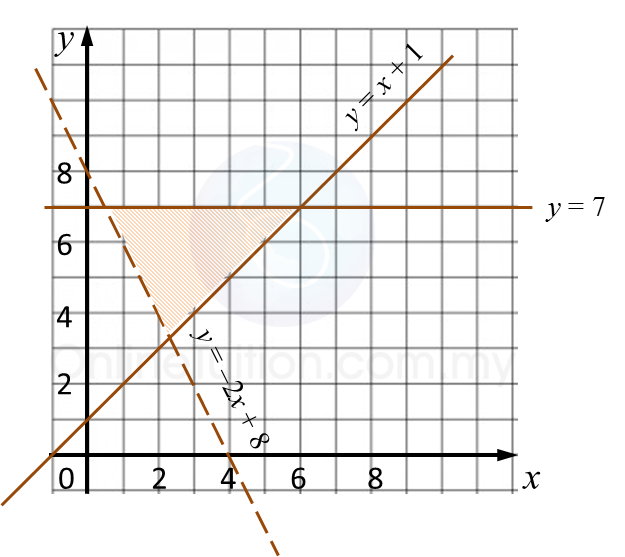 On the graph in the answer space, shade the region which satisfies all three inequalities 2x + y ≥ 2, x + y < 6 and y ≥ 1. 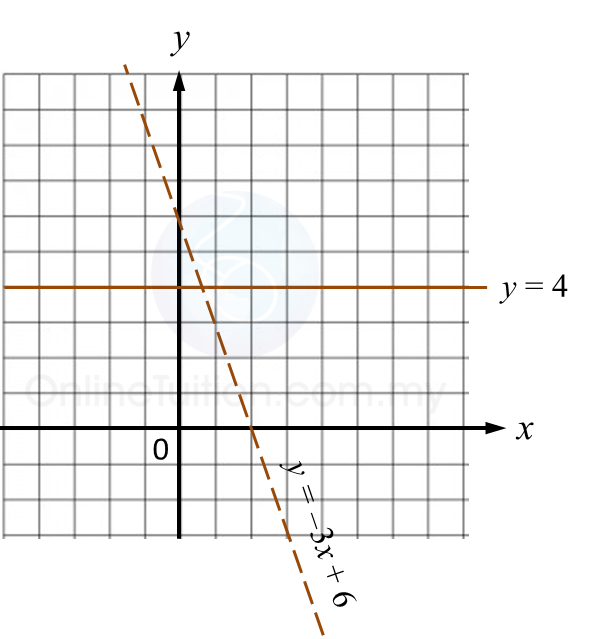 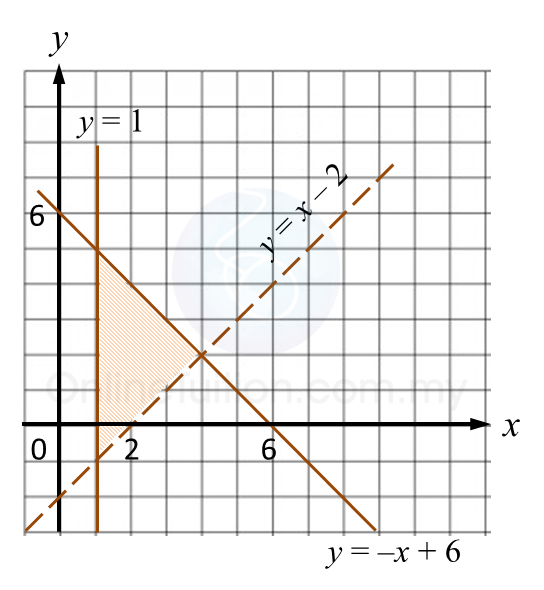 On the graph in the answer space, shade the region which satisfies all three inequalities y ≥ x – 2, y > –3x + 6 and y ≤ 4. 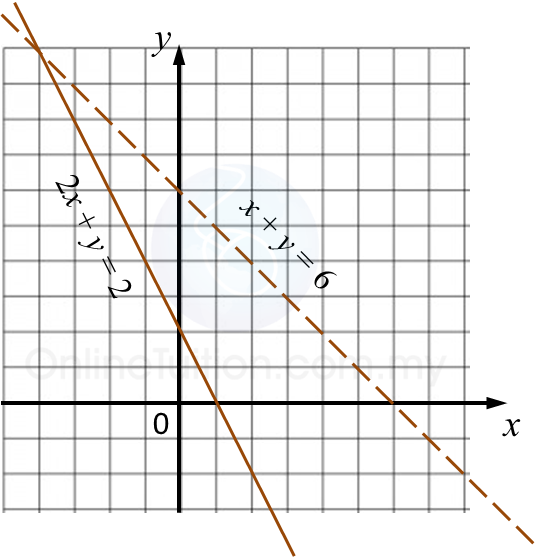 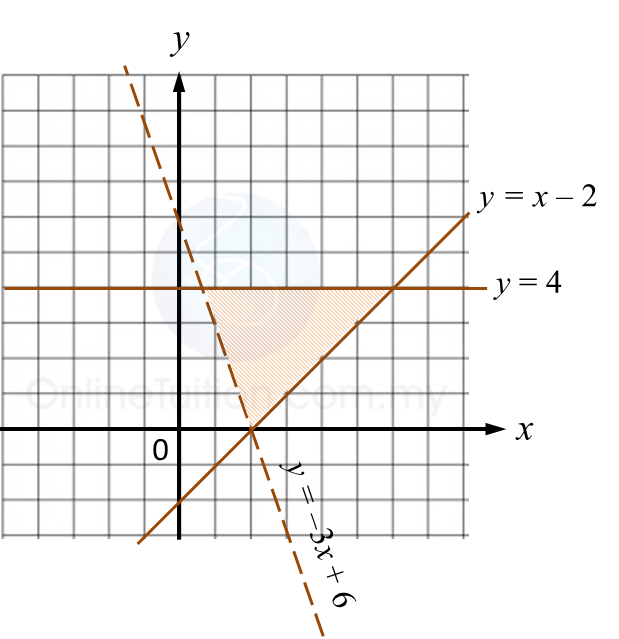 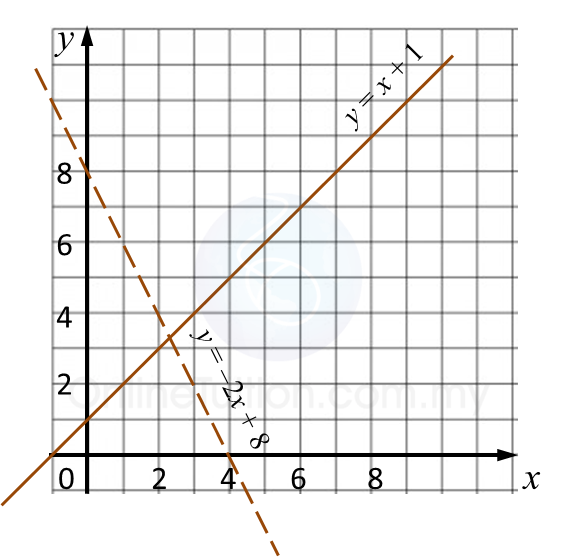 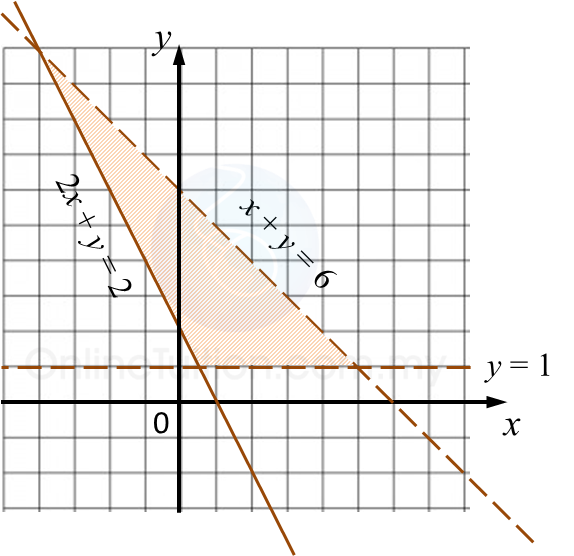 On the graph in the answer space, shade the region which satisfies all three inequalities y > x – 2, y ≤ –x + 6 and x ≥ 1.